This was a nice surprise! I discovered that there is an Israeli Street Team of Etsy members. They have a blog. 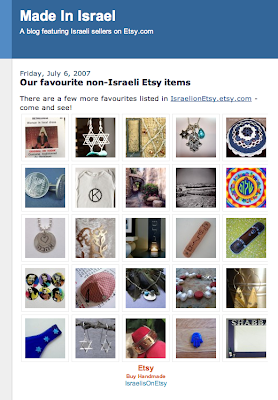 Several weeks ago they listed some of their favorite non-Israeli Esty items—and my Shalom Mandala was included! Thanks to IsraelisonEtsy!! I am truly honored to be included!